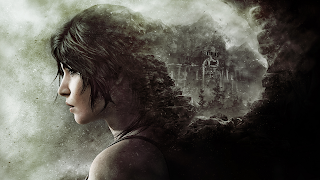 I had the wonderful opportunity to squeeze in a few of my unanswered questions in an exclusive interview with Brandon Klassen of TombRaiderHQ! Read our post-E3 discussion below and check out the photos taken by Brandon himself. Be sure to check out his site for the latest news and media. Thanks again Brandon! MaxRaider: Did you hear much of the soundtrack? If so, did it sound consistent with the reboot, or did it seem different aside from the Lara theme? 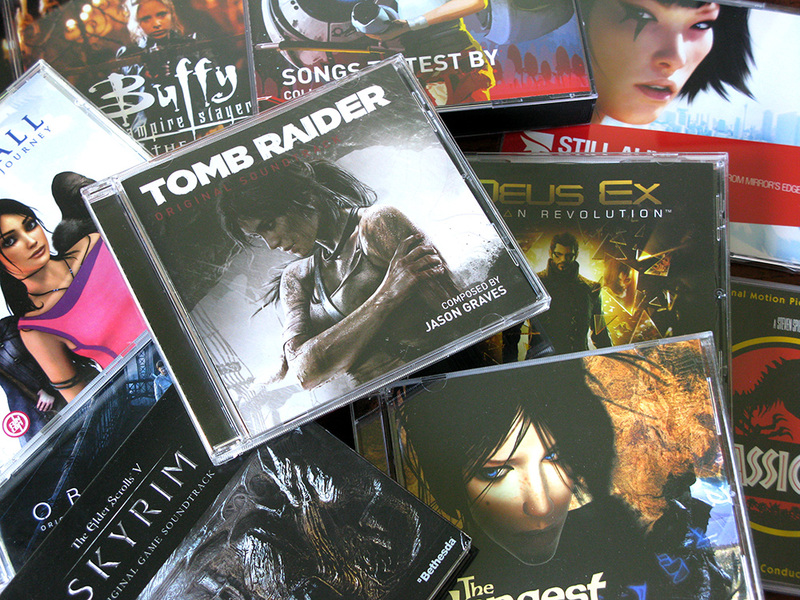 TombRaiderHQ: The soundtrack was one of the parts of the gameplay that I paid the least attention to - let me explain: I am a HUGE fan of game, television and movie soundtracks, so it was definitely NOT for lack of caring - it was just that the visuals were so impressive and distracted me from a lot of other stuff, and I was trying to observe as much as I could about the gameplay itself. Of course, with the first E3 demo gameplay footage released now, you can hear some of the soundtrack yourself. 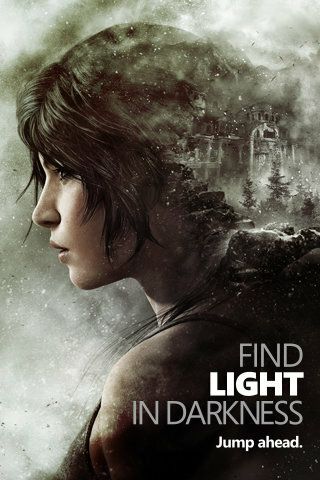 I definitely think that the direction they're taking the soundtrack is really smart and really appropriate, as per the comments Noah Hughes made about the score: "It was a great opportunity to...see what we could achieve as far as having the music do the same thing that we were trying to do with the story, which was show progression and show this adventure as an evolution of what she had been through. This is a great tomb raiding expedition, and the grandeur of that experience is very different than being thrust into a survival situation on the island...so in some ways, it became a reflection of the personality that we wanted to infuse in the current story." I do want to mention that what really impressed me about the sound in the gameplay demos, and this is something that really stood out to me in the reboot as well, was how realistic all of the sound effects are, and how well they're mixed. Everything sounds very natural, and nothing stands out and distracts you. Not being noticed can sometimes actually the hallmark of something that's done really well. When a sound effect is bad, you notice it right away and it drives you crazy. But from what we've heard so far, I feel that everything just fits together perfectly, and forms a cohesive whole. I'm very excited for the music and the sound in Rise of the Tomb Raider. So far it's really promising. 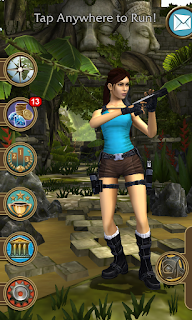 MaxRaider: Does Lara craft her outfits from scratch, or are they something you just kind of find? TombRaiderHQ: This is a really great question, and unfortunately, unless I missed it, it didn't come up at all during E3! So I would definitely take the first chance you get, perhaps if Crystal continues the official forum Q&As, to ask this question. I want to know the answer! But I will again mention something that impressed me, and it was the short, partial cutscene where we see Lara crafting her first weapon, the Makeshift Bow. The scene doesn't get into the step-by-step of it - where is the string/rope from? - but it's nice to see some more detailed attention being paid to making crafting something that's at least a bit more realistic in the game than the type of magical crafting that can often be the case. MaxRaider: Any hints of a collector’s edition/official merch/pre-order bonuses we might see? TombRaiderHQ: Unfortunately, there were really no hints about collector's editions, merchandise or any of that type of stuff. When we had the chance to chat with Noah Hughes in a group Q&A session, and ask questions submitted by fans, a lot of questions came up concerning spoiler-related topics, DLC and merchandise. The thing about that type of question is, they're just really not going to reveal those things before they're ready. All of that type of stuff always gets announced in reveal announcements from the studio. It's still good to ask though, because it does "remind" Crystal how much fans are interested in all of those topics. The one brief hint that we had about merchandise came from Crystal Senior Community Manager Meagan Marie about the soundtrack: "...we know how much fans love music, and you guys loved the CD last time, so I would expect that we will do something very similar. That's not a formal announcement, but we're definitely looking into the options and we'll let you know as soon as we have details." The other thing that you've probably seen is, of course, the VERY awesome looking GameStop pre-order outfit. I'm not so much a fan of the concept behind retailer bonuses, but that's an entirely different subject! MaxRaider: Any hints of a companion app, such as what I’ve seen with other games (Evolve, Assassin’s Creed, Etc.)? TombRaiderHQ: Dude, have you heard about the Fallout 4 companion app?! Personally, I find companion apps to be hit or miss. 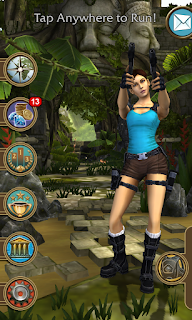 The Tomb Raider (2013) map app was cool, but it wasn't necessary. I kind of feel the same way about strategy guides. Do they really add something to the gameplay experience, or are they just merchandise? And don't put exclusive art in your strategy guide. I don't want to buy the strategy guide just for 10 pieces of awesome art printed on cheap strategy guide paper that should be printed on really nice paper stock in the art book. So that's what I think is really interesting about the Fallout 4 companion app - it allows you to experience the game in a different way, whether you get the Pip-Boy or not. 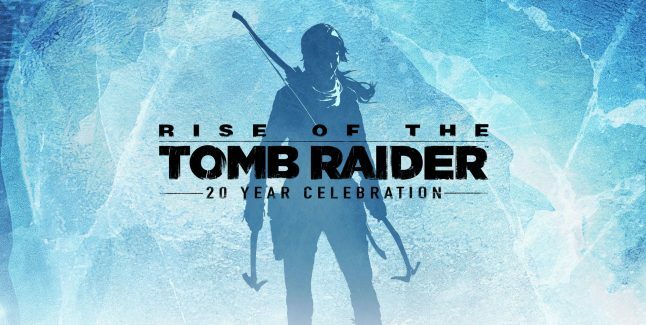 Anyway, I've gone really off-topic and all over the place, but to answer your question, there weren't any hints at E3 about a possible companion app for Rise of the Tomb Raider. If they do create a companion app, I hope they can do something really cool with it, because there's definite potential - I actually have some ideas for things they could do. But that's another great question that unfortunately just didn't get asked or come up in any way. 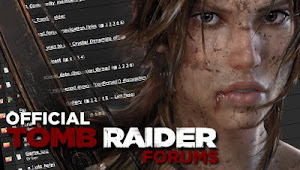 TombRaiderHQ: We were definitely a diverse group of fans, with different personalities from different backgrounds and cultures, and we ran the gamut from more introverted to more extroverted to everything in between. It helped that we were a small group of only 11 fans representing fansites and forums, compared to the last time they ran an Ambassador program with approximately twice as many participants. With this small group, when you're together for only four or five days, I think our similarities and common bonds really shone through more than our differences might have. The common Tomb Raider bond was of course a major factor, but maybe not in the way you might first think. One of the things I've discovered is that Tomb Raider fans really are some of the best fans in the world - everyone is so friendly, welcoming and open. Tomb Raider fans love community, which is how something like this could even happen in the first place. I don't think you could get together the same diverse international representation of fans from another franchise and have the same spirit of community. So along those lines, we all immediately embraced the idea of setting up a private Facebook group where we could get to know each other before the trip, which was probably the biggest help and the best thing we could have done to prepare. The Facebook group gave us the opportunity to chat, to help each other plan, to wonder about what the trip was going to be like and get excited together. 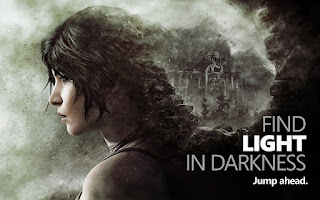 We connected a full month and a half before E3, when the selected representatives were announced privately to the official Tomb Raider fansites, long before the program was announced publicly. So we had the chance to get to know a bit about each other first in our natural habitat - an online community, behind the keyboard - and then I don't think any of us were too nervous meeting each other in Los Angeles. After that, we had a blast! MaxRaider: What was L.A. like? TombRaiderHQ: I was one of the few ambassadors who had been to L.A. before, although my last memories of Los Angeles were from trips to Disneyland with my family as a child, so I didn't really remember that much, and of course a LOT of things would change a couple decades later! (I'm starting to reveal my age - I think I was the second oldest ambassador!) The expectation was of course that it would be HOT, but we actually had really beautiful weather the entire trip. It was cool in the mornings and evenings (with cloud cover that for some reason surprised me, though it quickly cleared each day), and in the middle of the day it was hot - thankfully, we were inside air conditioned facilities almost all of the time. To go from one place to another, you have to get on the highway, and these are huge highways with a lot of lanes - traffic was always busy to some degree. Even on Saturday night when I arrived, and expected non-rush hour traffic, the city was busy, because I guess everyone goes to Hollywood. The LAX airport is undergoing renovations, and some of us didn't have great airport experiences, but I can't really hold that against L.A. - airports are often something to complain about no matter where you go. We had the chance to get out and about a couple times during the trip, and we definitely experienced great food, great atmosphere, great places and great people in the city of L.A. 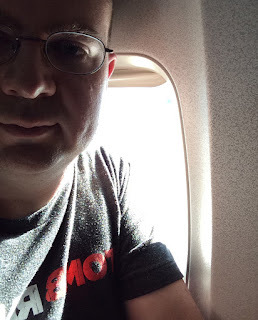 There was the odd crazy experience, and I think that too is something you could find in any city, but we had way too much fun, and the combination of energy surrounding Los Angeles, E3 and Tomb Raider was invigorating. MaxRaider: How do you feel about Xbox's involvement with the game/at the show? Do you feel like they're taking good care of our baby? 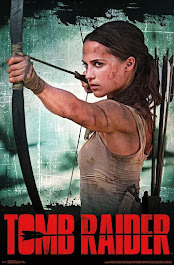 TombRaiderHQ: This is obviously the extremely hot topic that comes up whenever there's new media attention surrounding the game. I'll preface my thoughts with a comment I made today on the Official Forums: "I can't imagine the game NOT being released on PlayStation and PC. There's just no way. I'm primarily a PC gamer myself, and so I hope you believe that I do completely empathize [with the frustration and many other feelings from PlayStation and PC gamers]. But in the end, I'm not going to lose sleep over it. Life is too short to constantly agonize over it and rant against it. It happened, and it's not going to stop me from enjoying this amazing game when it comes to my platform of choice. I'm fortunate to have a 360, so I might play it on that when it releases, or I might just wait for it on PC." In my perfect world, there wouldn't be platform exclusives. Games would be released for all platforms. I'd be able to play Uncharted and The Last of Us on my PC. As it is, I can't. Maybe one day I'll have a PlayStation and be able to play those games, but for now, I can't. That's the business side of the game industry, so in some cases, it's just something we have to live with. On the other hand, there's a difference between something being platform-exclusive in the first place (Uncharted) and the situation when a franchise that has been multi-platform for so long switches into any type of exclusivity position, especially when that switch is away from the origin of that franchise, so I understand why it hurts. That said, let's talk about Xbox's involvement. First of all, we really don't know how Xbox's support of the game may or may not have directly influenced the development of the game in terms of, just as a completely made-up example, "X dollars went toward development of water simulation, which wouldn't have looked anywhere near this good without their support." We just don't know those types of details. 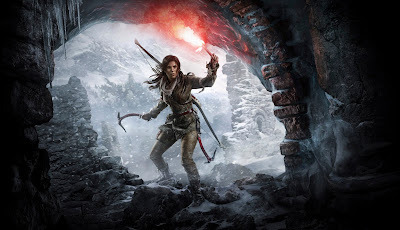 The game looks immeasurably more amazing than Tomb Raider (2013) did, which is really one of the number one things that wowed me during E3, but ultimately it's not just about the graphics, it's not just about the animation, it's not just about the effects or the music or the game's AI. Those things are all important and they come together to make a fantastic game, but for me, it's all about whether the game tells an engaging story, draws me into Lara's world and her character and delivers a great gameplay experience, I praised what Crystal did with Tomb Raider (2013) at significant length in my review of that game, and so because of the way I felt about the reboot, I've always had complete trust that the studio would create an amazing follow-up, with or without Xbox's involvement, and I had no worries that Xbox's involvement - whatever form that would take - would create a situation where we might feel they weren't "taking good care of our baby." 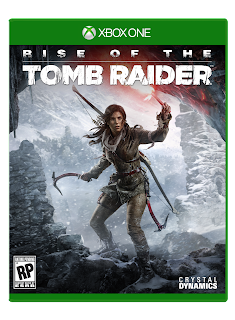 So finally, how did Xbox treat the promotion of Rise of the Tomb Raider at E3? I feel that they did an amazing job, and let me explain why. First of all and most importantly, and I've expressed this elsewhere but it absolutely bears repeating, for myself at least I really felt that both Crystal and Xbox approached the event with a desire to make it about the fans. We didn't just get to go to the events and get lost in the crowd - Game Director Brian Horton and Franchise Creative Director Noah Hughes set aside significant amounts of their E3 press time to do 1-on-1 interviews and group Q&A sessions with us, and just to hang out with us. Our group occupied a significant amount of time to see the showings of the first gameplay demo at the Xbox Media Showcase, and the following morning - the first official day of E3 - we got to see the first demo again (the Siberian Wilderness demo), as well as a second demo (the Syria demo) before any of the press saw it. I know that Crystal loves us fans, but none of that would have been possible if Xbox hadn't been on-board with the idea. 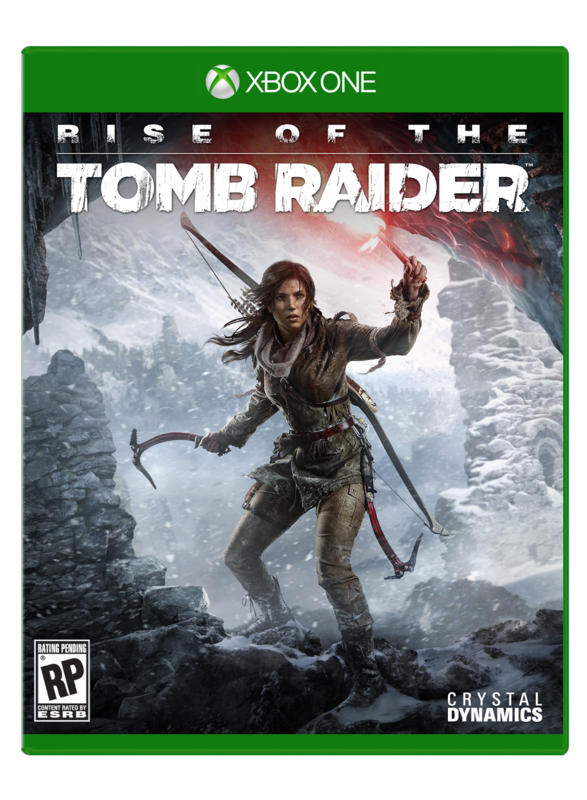 Given that Rise of the Tomb Raider does have this Xbox exclusivity, you would imagine that Xbox would treat the game well at E3, and they didn't disappoint. 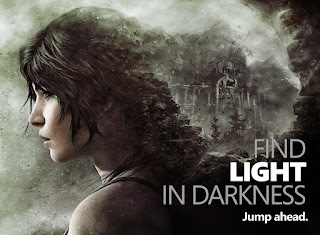 Kicking off E3 at the various press events prior to the start of the convention proper, Rise of the Tomb Raider was one of Xbox's 5 pillar titles in the "jump ahead" opening video at their Media Briefing (and in fact Lara's narration opened the video and the event! ), which I feel set the game up for success at E3 from the start. It was then awesome to see Rise of the Tomb Raider grace the top of the front page of the E3 Day 1 Show Daily publication. There were two halls at the Los Angeles Convention Center for the E3 show floor. In the South Hall, a lot of the exhibitors had various elaborate displays setup, such as the numerous memorable features of the Bethesda booth (their giant robotic Mister Handy, for one) promoting Fallout 4 and Fallout Shelter. In the West Hall, where Microsoft/Xbox was located, by comparison there really weren't many displays, but Xbox really stood out. Their giant green illuminated cube surrounding their floor space immediately caught your attention and drew you to it, and when you entered their area, Tomb Raider was an immediate attraction compared to just lots of areas with consoles setup running games, with its large snowy mountain rockface and cave as the facade for the theater in which they were showing the Siberian Wilderness demo. 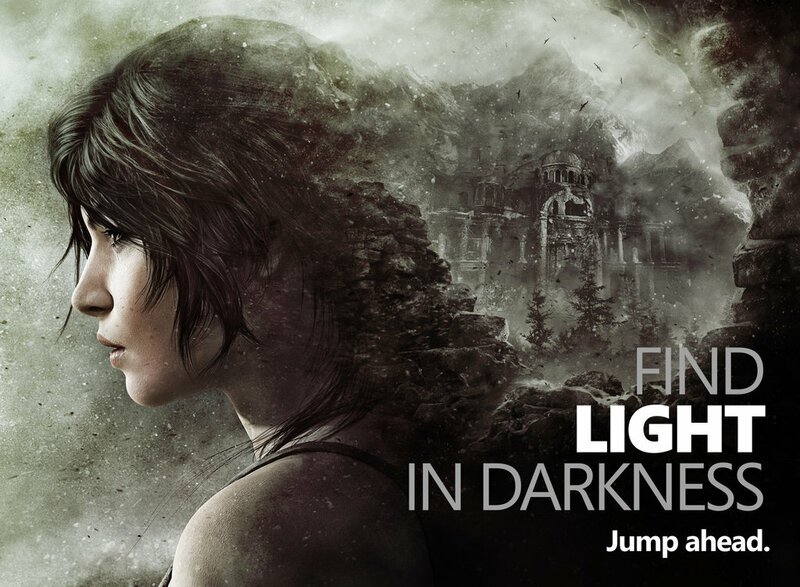 Not to mention that outside the entrance to the West Hall, there was a huge illuminated Rise of the Tomb Raider sign, featuring the game's cover art. Tomb Raider was definitely visible in a big way. I don't know how much that answers the question, but I hope it helps. As I said, I have no doubts that the game will be released for all platforms after the exclusivity period. At that time, the overall success of the game across platforms, and the reception of the game, should really depend on the merits of the game itself, because that's what is important. And I can tell you from what I saw at E3, this game could not come soon enough. It looks beyond amazing, and I truly can't wait to play it! 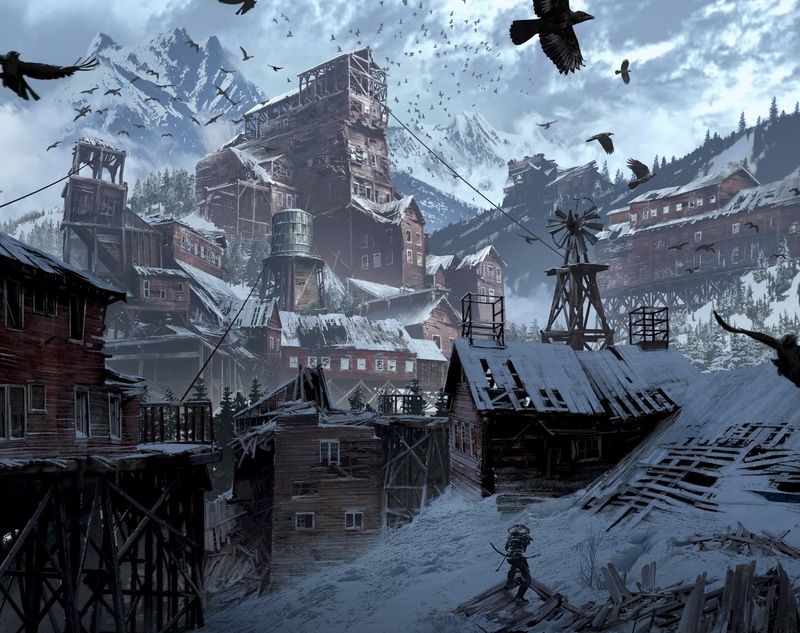 Another piece of exclusive concept art released during a Square Enix Presents interview during E3. 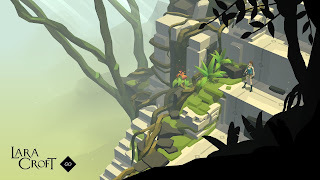 MONTRÉAL (JUNE 16, 2015)　– Building on the success of the award-winning and critically acclaimed Hitman GO®, Square Enix Montréal today unveils an all-new, ground-breaking experience coming this year to phones and tablets: Lara Croft GO™. 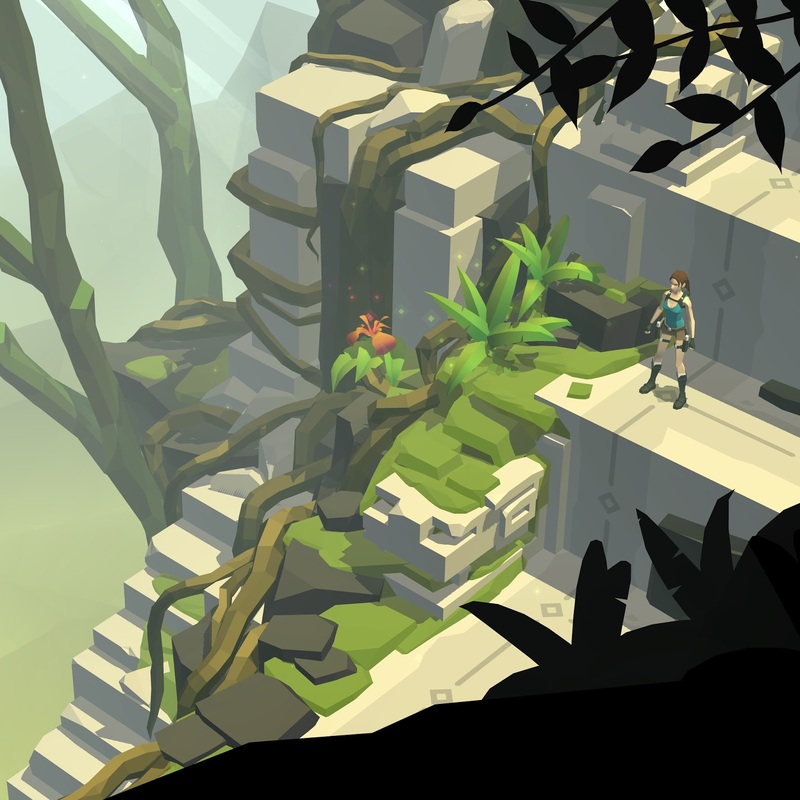 Lara Croft GO expands the turn-based puzzle gameplay and takes you on an adventure set in a long-forgotten world. Explore the ruins of an ancient civilization, discover hidden secrets and face deadly challenges as you uncover the myth of the Queen of Venom. A never-before-seen take on the iconic franchise featuring challenging gameplay, gorgeous visuals and a mesmerizing soundtrack, all at your fingertips. 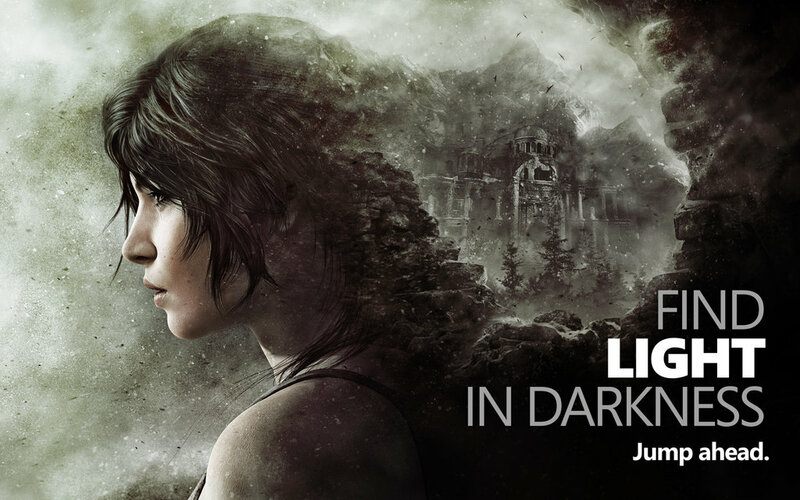 Behold: A brand new concept piece released by Crystal Dynamics exclusively for E3. 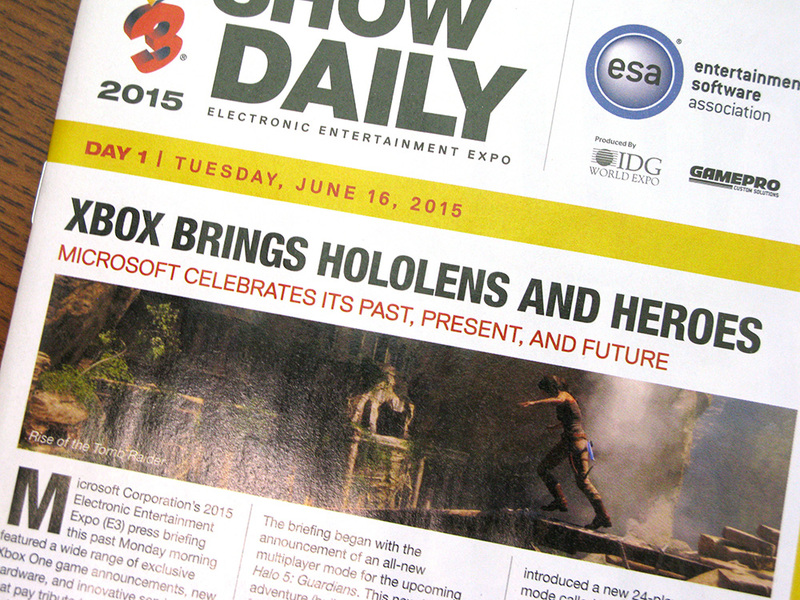 E3 2015 has started off with a bang! 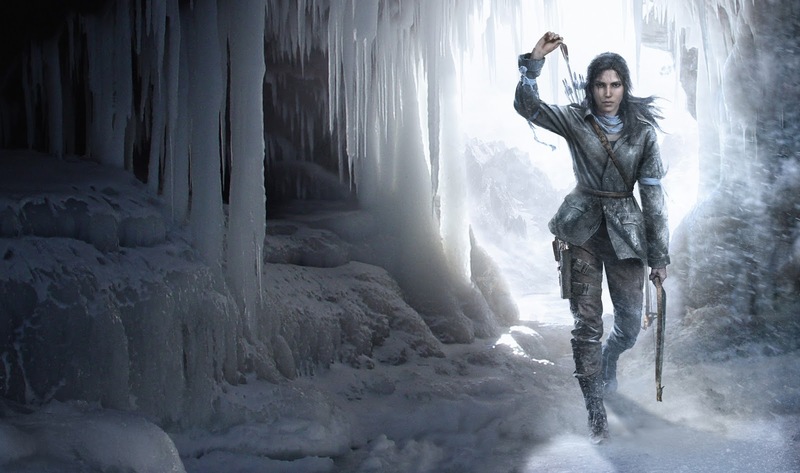 The Xbox Briefing showed off an amazing array of upcoming titles, including Rise of the Tomb Raider. Game Director, Brian Horton took the stage to reveal our first glimpse of gameplay from the upcoming installment. It looked absolutely gorgeous! The moment finished off with a gameplay trailer and a release date. You can expect to play Rise of the Tomb Raider on Xbox One and Xbox 360 November 10th, 2015. In the meantime, check out these lovely screenshot and stay tuned for more news from E3. 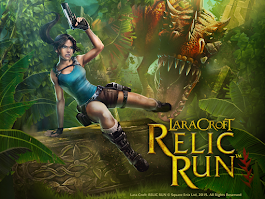 Have you all been playing Lara Croft: Relic Run? If not, I highly recommend it. It is a lot of fun as well as challenging. I've been playing almost constantly. From the moment I wake up, to before I go to bed, during breaks at work, you name it. It's really easy to just pick up and have a run, and with the gameplay varying so much with each play through it never gets monotonous or old. The graphics are amazing and immersive. Lara pushes palm leaves out of her path, swings on vines, parkours over falling debris, dodges enemy attacks, and more. 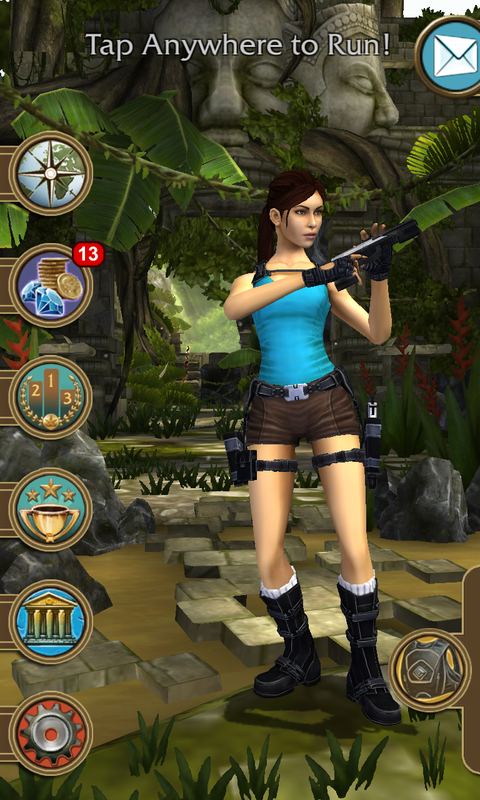 Even on my Nokia Lumia 925, which is a 2 year old Windows Phone, the game looks really good. It does lag here and there though. 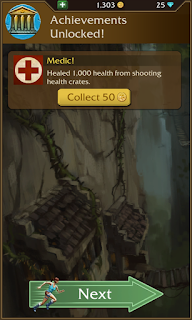 The Jungle Temple is the first level and what I have been playing mostly since the game's release. 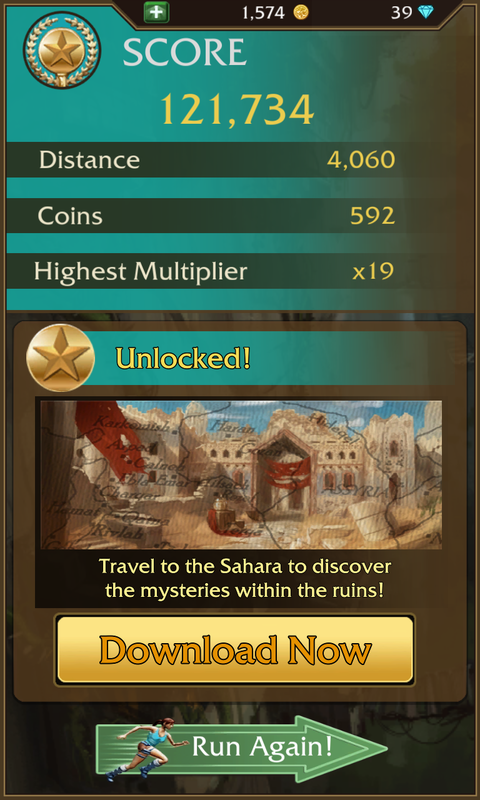 I have fully upgraded the relic booster in order to get more relics. I need to focus on upgrading my secondary weapons since the T-Rex is proving pretty difficult to kill. Um yes, there's vehicles! 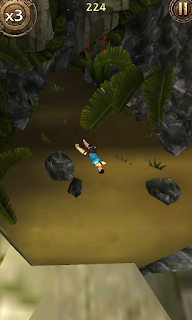 The quad bike is super awesome, but the deaths can be pretty rough! I will say one thing that I've noticed and am kind of disappointed in is that the file size for Windows Phone is smaller than the Android/iOS versions. 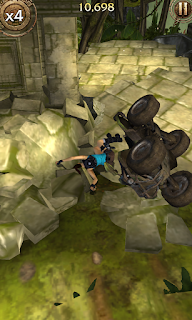 I've discovered certain moments are not present, such as the quad bike barrel roll scene. Also, the video playback feature is not available. I really would have liked to see all platforms have the same content. Is this a Windows Phone hardware restriction I wonder? 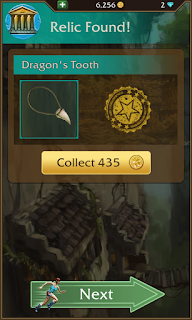 Every relic rewards you with coins and a little more story. 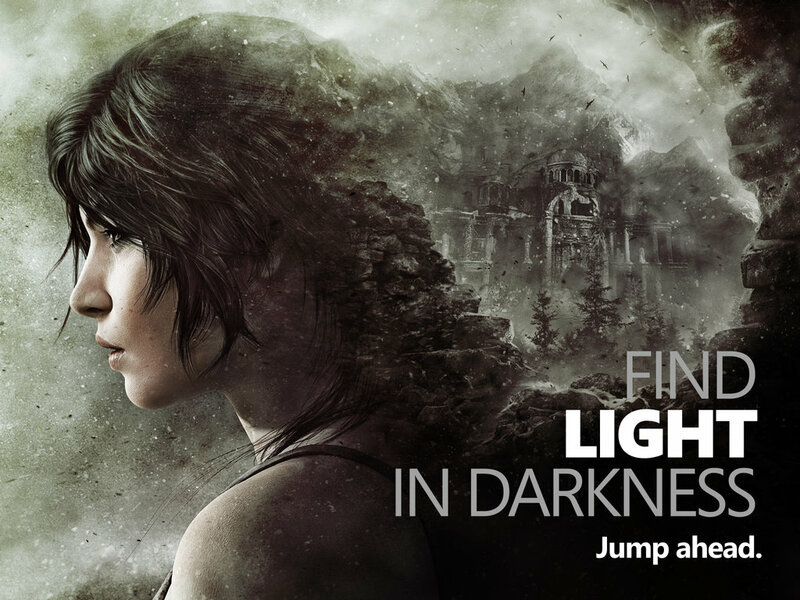 I like that Carter Bell is involved and Lara must find him and uncover what's really going on. I love the Curse System. Friends on Facebook can send Curses to one another that distort their vision. 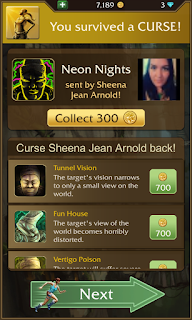 ShotgunSheena and I are constantly cursing each other trying to get the higher score. 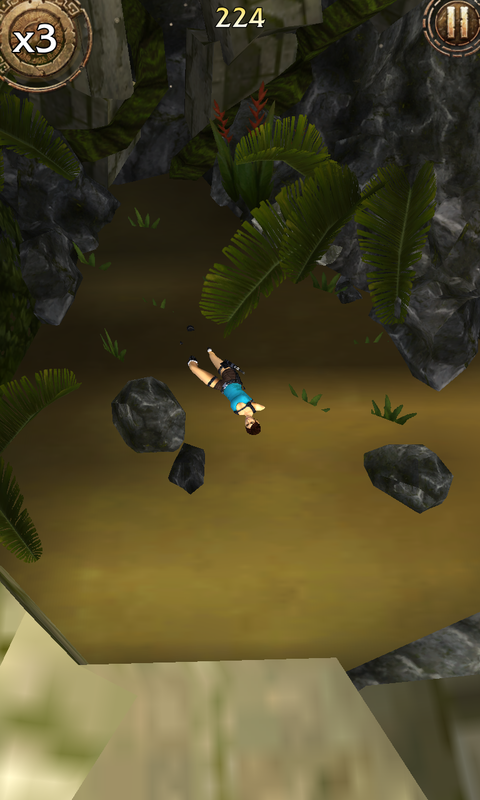 Lara's just hanging out, dead in the water. I tend to be an achievement hunter and this game has a lot of them. You get coins/gems for completing them as well. I love that my version connects to my Xbox Live account and there are at least 20 Xbox achievements to conquer. I just found my 15th Jungle Temple relic this morning, thus unlocking the Sahara Desert! This level is like a whole new game with new parkour and climbing moves and a lot more traps. This game is a must for any Lara Croft/Tomb Raider fan or anyone else for that matter! I have gotten all of my co-workers and friends to play and they're all addicted! Collect the brand new box art render above and the high quality version of the Ice Cave render below, previously only available to the press. Feast your eyes on this beauty! 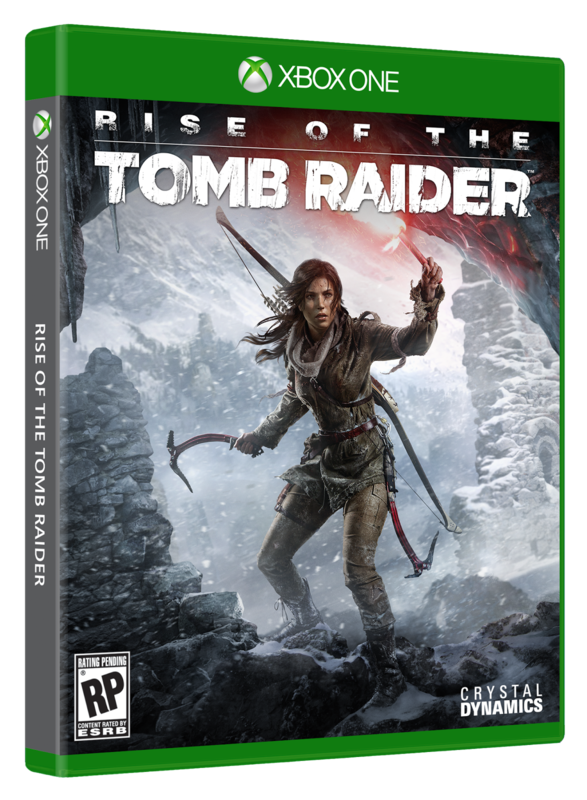 Earlier today Crystal Dynamics released the official Xbox One box art for Rise of the Tomb Raider. I find it absolutely gorgeous! You can see how much Lara has grown just from the cover. 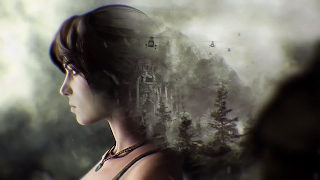 In the reboot art, Lara was injured and unsure. Now she pushes head-on with confidence and without fear.